The main highlights of the day were the Greek bailout extension approval and Fed Chair Janet Yellen’s testimony. The euro did not react as much on the EU’s approval of Greece’s reform proposals since an agreement with its creditors was more-or-less expected. The IMF did however voice concerns over the proposals. The review in April is more critical. The Eurozone’s 19 finance ministers’ approval of a 6-page list of reforms at least cleared one of the last hurdles to extending Greece’s €172bn bailout for another 4 months. Greek bond yields fell and the euro rose to a high of 1.1339 following the announcement but fell back below 1.1300 as Yellen began to speak. The dollar moved broadly higher following the initial comments from the Fed Chair as she signaled that the US central bank was more or less on course for hiking rates this year. 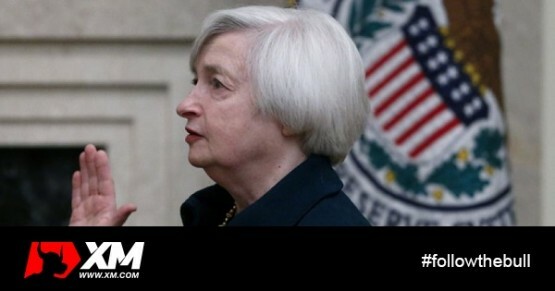 However she noted that flexibility was needed on the timing of the rate hikes. Yellen also struck a cautious note about the US economy’s performance, highlighting that too many Americans remain unemployed and that wage growth is still sluggish, while inflation remains well below the Fed’s longer-run objective. On these comments and with nothing else particularly new, the dollar’s rally largely came undone. The greenback rose to a high of 119.82 yen during Yellen’s speech but soon fell sharply to 119.05. Prior to Yellen’s testimony, US consumer confidence data were released, although they were largely overlooked by the markets as the focus was on her comments. The Conference Board Consumer index fell more- than-expected in February, moving off a multi-year high, giving a reading of 96.4 from an upwardly revised 103.8 in January. Expectations were for a reading of 99.6. Meanwhile, the dollar will be vulnerable to more US data later this week, including inflation data on Thursday and GDP figures on Friday. In other currencies, sterling hit a new 7 – year high versus the euro as Bank of England Governor Mark Carney and other Bank policy makers said they saw inflation rebounding in the UK. The euro/gdp pair touched a low of 0.7315 on the news.